Rest assured, we could not do our work without the support of people and sponsors like YOU! On April 27, 2017, we were joined by SJI founding members and supporters to celebrate 20 years of opening doors to living-wage careers. In a remarkable show of support, we raised over $75,000! The Mayor of Seattle even proclaimed April 27, 2017 to be Seattle Jobs Initiative Day! This is a great triumph for everyone, especially those served by SJI and its partners. 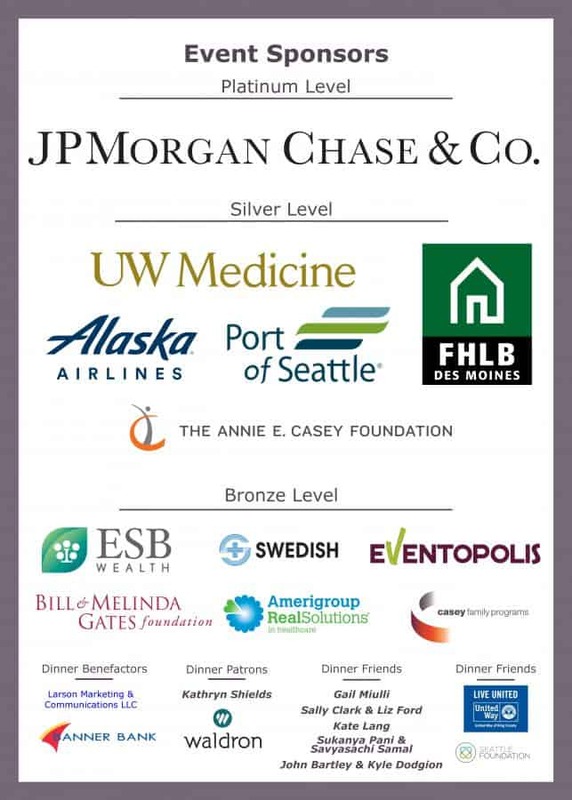 Please enjoy the Founders’ Dinner video presentation and photos from the event, and as always, thank you for your support and commitment to workforce development in King County. 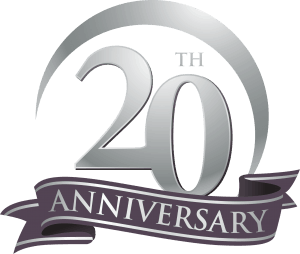 SJI is celebrating its 20th Anniversary in 2017, having served nearly 17,000 people since its inception in 1997 and placing over 7,000 people in living wage jobs. The Founders’ Dinner will not only celebrate 20 years of work in the community, but will also look toward SJI’s future and the ever changing socio-economic climate impacting workforce development. Seattle in the 1990s sought to link economic and workforce development to benefit low-income communities and communities of color. The city’s efforts built on the region’s strong, growing economy, which created tight labor markets for much of the decade and, as a result, provided an opportunity to strengthen low-income communities by connecting them to living-wage jobs. Within this context, during his eight years in office, Mayor Norman Rice provided strong leadership in pursuit of a social equity agenda. Rice was determined that Seattle’s prosperity be broadly shared. With this vision, he created the Office of Economic Development (OED), which became the vehicle for linking economic and workforce development. OED, with additional support from the Annie E. Casey Foundation, then put the Mayor’s social equity vision to work through the Seattle Jobs Initiative (SJI), which connects low-income community residents to living-wage jobs and other efforts. As a result of the city’s efforts, thousands of low -income community residents were connected to living-wage jobs during the 1990s. Though it started in 1997 as part of OED, SJI became its own nonprofit organization in 2003. As mayor of Seattle from 1990 to 1997, Norm Rice brought together philanthropic partners and Seattle’s Office of Economic Development to create the Seattle Jobs Initiative. After leaving office, Norm has served as the president and CEO of The Seattle Foundation, one of the nation’s largest community foundations, and president and chief executive officer of the Federal Home Loan Bank of Seattle. He currently serves on Casey Family Programs’ Board of Trustees. His upcoming book on civic engagement, Soul of a Messenger, will highlight his own journey as mayor to bring communities together around challenging issues. He holds degrees in communications and public administration from the University of Washington and honorary doctorates from Cornish College of the Arts, Seattle University, University of Puget Sound and Whitman College. 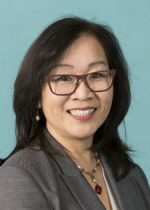 Martha Choe served as the CAO at the Bill & Melinda Gates Foundation and prior to CAO, the Director of Global Libraries. Previously, Martha served in Governor Locke’s cabinet as the Director, Washington State Department of Community, Trade and Economic Development (CTED), overseeing international trade, community and economic development. She led Washington State’s successful bid for final assembly of the new Boeing 787 Dreamliner, beating out 47 others state proposals. Martha served two terms on the Seattle City Council. Prior to public service, Martha was VP at the Bank of California, and a high school teacher in Eugene, Ore.
She has a BA in Speech and Ethnic Studies from the University of Washington and an MBA from Seattle University. Martha’s extensive civic engagement includes appointment by President Clinton as chair, the White House Commission on AAPI’s; chair, The Seattle Foundation Board, board member; Seattle Branch, Federal Reserve Bank of San Francisco; Western Washington University; United Way and Craft3. 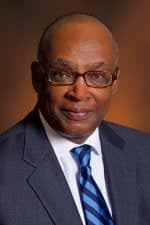 Robert Giloth is Vice President, Center for Community and Economic Opportunity at the Annie E Casey Foundation, a private philanthropy dedicated to helping build better futures for disadvantaged children in the United States. Bob is responsible for planning and integrating economic opportunity and place-based investments, including the foundation’s workforce development agenda. Prior to joining the Foundation in December 1993, Bob managed community development corporations in Baltimore and Chicago and was Deputy Commissioner of Economic Development under Mayor Harold Washington. Bob has a Ph.D. in City and Regional Planning from Cornell University. He has edited Connecting People to Work; Jobs and Economic Development: Strategies and Practice; Workforce Intermediaries for the Twenty-first Century; Workforce Development Politics: Civic Capacity and Performance; Economic Development in American Cities: The Pursuit of an Equity Agenda; Mistakes to Success: Learning and Adapting When Things Go Wrong; and authored Nonprofit Leadership: Life Lessons from an Enterprising Practitioner. Dr. Malcolm Grothe is the Associate Vice Chancellor for Workforce and Economic Development with the Seattle Colleges. 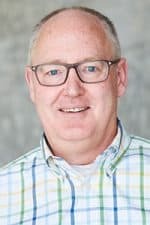 He has been with the Seattle Colleges since 1998 and has worked at North Campus, South Campus, Georgetown Campus, and now at the District Office. 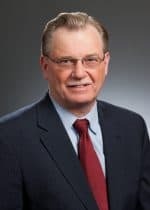 His primary focus has been pathways in workforce programs and connecting underserved populations with advanced education and employment. Prior to coming to the Seattle Colleges he worked at Boeing, and was a Boeing Loaned Executive to the Seattle Colleges. 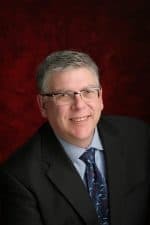 In addition, Dr. Grothe teaches Instructional Leadership and Learning Theory graduate level courses as an adjunct faculty at Seattle University’s College of Education. He holds a PhD in Educational Leadership from Oregon State University, a Master of Arts in Educational Administration from Seattle University, a Bachelor of Science in Occupational Education from Southern Illinois University, and is most proud of his Associate of Applied Science in Manufacturing Engineering from Highline College. Steve Johnson is the CEO of Impact Hub Seattle. He took over as CEO of Impact Hub Seattle in April 2016 and bring a background in organizational development, strategic planning, community engagement, and policy analysis gained from a career in public service at the international, national, and local levels of government. Most recently, he served as the Executive Director of the City of Seattle’s Office of Economic Development from 2008 to July 2015. During that time, he shaped and guided the city’s economic development agenda through the recession and the subsequent recovery. This work included attracting, retaining, and expanding businesses in Seattle, helping neighborhoods organize and execute strategies to develop strong commercial districts that serve their needs, and investing in the skilling up of adult workers so that all residents have opportunities to share in Seattle’s prosperity and industry has access to a skilled local workforce in a rapidly changing economy. Anne was named Executive Director of Seattle Jobs Initiative in fall of 2006 and served in the position until 2013. One of the first employees to join Seattle Jobs Initiative when it was established in 1996, Anne played a key role in forging community partnerships to develop SJI’s first sector training programs within local community colleges. During her tenure at SJI, Anne was been involved with SJI’s strategic planning, product development and policy work. Anne’s prior experience includes working on efforts related to at-risk youth, global grassroots community change, and US domestic policy making. 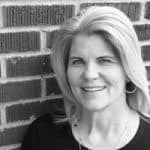 Anne is currently Managing Director of Manage + Connect, a consulting firm helping nonprofits, government agencies and private sector firms with strategic planning, program design, project management, continuous improvement, change management and communications. 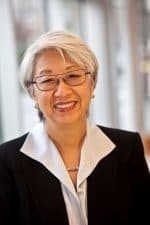 Marie Kurose was one of the founding staff of the City of Seattle’s Office of Economic Development established by Mayor Norm Rice in 1992. She led the application process, and the development of SJI’s first strategic investment plan for the Annie E. Casey Foundation. After leaving OED, Marie oversaw the Paul G. Allen Family Foundation’s Community Development and Social Change program area. She has a long history of direct service, policy development and leading strategic planning initiatives in workforce development, human services, and community economic development. Throughout her career, Marie has worked to bring the voices of diverse community stakeholders to address issues related to race, ethnicity and culture. Marie currently serves as the Workforce Development Program Manager with the Port of Seattle. 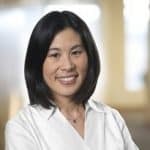 Jill Nishi currently serves as Director, Strategy, Planning and Management and Chief of Staff at the Bill & Melinda Gates Foundation in Seattle, supporting the overall strategic and operational work of our United States Program. Jill has served in a number of leadership roles at the Gates Foundation, most recently as Senior Advisor in the Office of the President, and previously overseeing the management and research & evaluation functions for the foundation’s Postsecondary Success strategy which aims to increase the number of low-income young adults who complete a post-secondary credential. She also led the foundation’s U.S. Libraries Program, an initiative dedicated to bringing technology access to underserved communities through the nation’s public libraries. Prior to joining the Gates Foundation, Jill served in several leadership positions in the public sector. She was appointed by Mayor Greg Nickels as director of the City of Seattle’s Office of Economic Development; and previously served as deputy director of the Washington State Department of Community, Trade and Economic Development. Mary Jean Ryan is the founding director of the Community Center for Education Results (CCER). CCER staffs the Road Map Project, a community-wide effort to double the number of students in South Seattle and South King County who are on track to graduate from college or earn a career credential by 2020. The project is also aiming to close achievement gaps for low-income children and students of color. Previously, Ms. Ryan served as the Director of the City of Seattle’s Office of Policy and Management. Prior to that, she was Seattle’s Economic Development Director, having established that office in 1992 for then Mayor Norman B. Rice. Mary Jean also served in the Clinton Administration in Washington, D.C., as the Associate Deputy Administrator for Economic Development for the U.S. Small Business Administration. In 2009, Ms. Ryan was awarded the Wales Foundation Passionate Citizenship Honoree Award and was named by Seattle Magazine to its 2009 Most Influential People List. Mary Jean has a long-standing interest in education and workforce development. She chaired the State Board of Education during its reconstitution phase and she continues to serve on the Board and on the Quality Education Council. Mary Jean has a B.A. from Georgetown University and a M.P.A. from the University of Southern California. She is a member of the Georgetown University Athletic Hall of Fame. She has one daughter.